I was 14 years old in 1973. My family subscribed to two daily newspapers — the Minneapolis Tribune (now the StarTribune) and a North Dakota-based paper, the Grand Forks Herald. I was already a news junky and read them both every day. 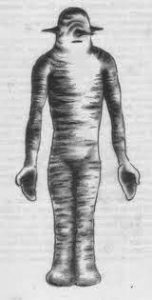 In about mid-October of that year both papers carried a sensational story about two Mississippi men who were abducted by robot-like aliens with crab-like claws and wrinkled, leathery skin. The men were “floated” into an oval-shaped UFO, subjected to an examination and released after about 30 minutes. The newspaper stories were accompanied by intriguing pen-and-ink drawings of the bizarre aliens creatures and also a sketch of a blue-glowing UFO. Even as a teenager, I was profoundly struck by the fact that such an amazing account was presented in two mainstream newspapers. It gave the story an added jolt of legitimacy to my young mind. Now 45 years later, that feeling remains. Charles Hickson and Calvin Parker in 1973. Normally sensational stories like this appeared only in the National Enquirer or FATE or UFO magazines, but the Pascagoula incident was a case that somehow transcended standard divisions of journalism. It’s almost as if the event carried with it an intuitive sense that something real must have happened. The story circled the globe in top-tier newspapers and broadcast media around the world. One of the many sketches of the “alien robots” that grabbed the two men and floated them into a UFO. It’s just one of the reasons that the Pascagoula abduction has always remained among the most vexing and iconic UFO incidents of all time. Furthermore, skeptics, including guys like Philip Klass and Joe Nickell, threw everything they could at the story of the two abductees, Charles Hickson and Calvin Parker. But the pushback of the knee-jerk naysayers seemed to ring hollow and fall flat. A sense of strained desperation characterized debunking attempts. Another fascinating aspect of the case was the difference in the way the two men subsequently dealt with what has happened to them. The older man, Charles Hickson, a Korean War combat veteran, shipyard foreman and solid southern working man, spent the rest of his life talking about it, granting hundreds of media interviews, writing a book and even occasionally hitting the lecture tour. But young shipyard welder Calvin Parker, just 19 at the time, wanted none of it. He suffered a nervous breakdown a week after the abduction and essentially went into hiding thereafter. The general impression has been that Parker sent himself into a kind of self-imposed witness protection program. 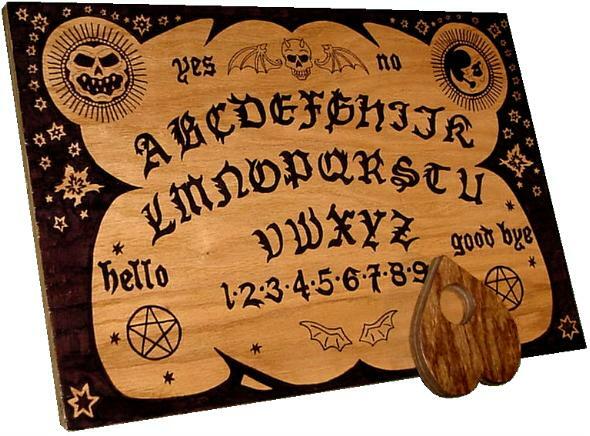 This created an aura of mystery about Parker which has ever since bolstered the “high strangeness” mystique and legacy of the Pascagoula UFO abduction event. 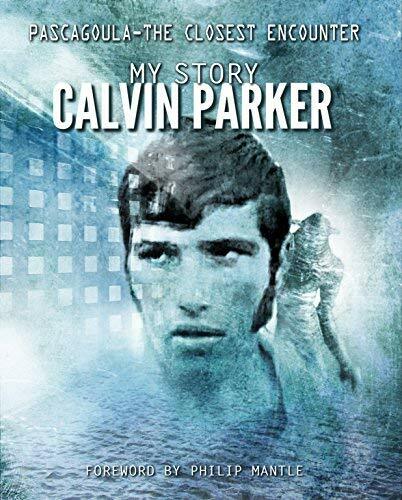 So when I heard a few months ago that Calvin Parker had not only resurfaced but was coming out with a book to tell his side of the story — after all these decades! — my anticipation meter redlined! What would he have to say? And better yet, would he reveal new details about one of the greatest UFO cases off all time? Artists impression of Pascagoula UFO. Well, after reading Calvin Parker’s PASCAGOULA: THE CLOSEST ENCOUNTER I am not disappointed. Despite some agonizing drawbacks to this book (which I’ll discuss in a bit) — this direct witness/abductee account provides enough additional information to make it one of the most important contributions to ufology in recent years. 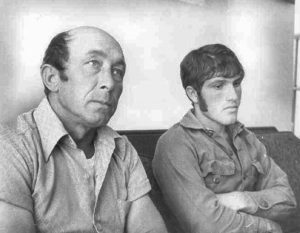 I say that because, other than the enduring influence of the Pascagoula event, this case essentially went cold more than 40 years ago. Unlike other famous incidents, such as Roswell or England’s Rendlesham Forest encounters, where new clues and evidence have continued to trickle out over the years, Pascagoula was essentially a “one and done” happening that presented little opportunity for further investigation. Hickson on site of the event, 1973. But Calvin Parker’s book has changed that. For one thing, it provides the testimony of several local residents who were in proximity to the area where the abduction event took place. 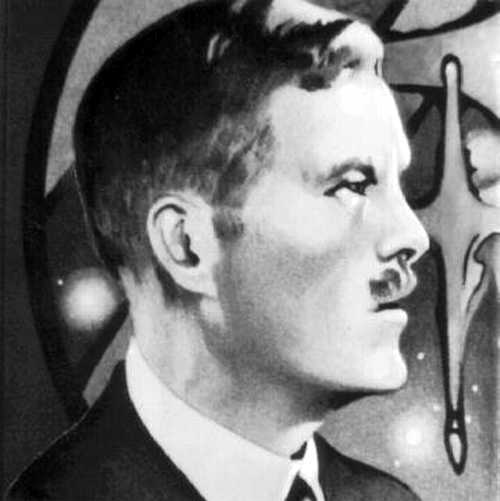 They offer credible, objective accounts of having seen a UFO like the one described by Hickson and Parker in the area in a time frame before and after the event. 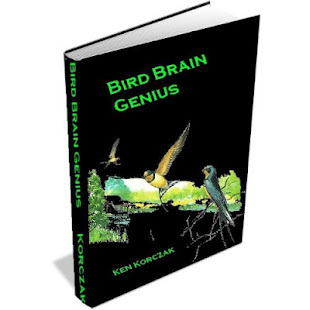 But the bombshell of this book for me is the revelation that Calvin Parker underwent 90 minutes of hypnotic regression with none other than the famous ufologist BUDD HOPKINS in 1993, twenty years after the event. Parker never received a copy of the tape Hopkins made of the session. Worse, Hopkins died in 2011. The fate of the Parker regression tape seemed that it was lost. But now thanks to the dogged work of long-time British UFO investigator Philip Mantle, the tape was found and its transcript is presented in full in this book. 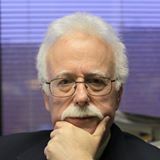 The way the tape was found is an interesting anecdote in itself — it turns out is was in the possession of another venerable ufologist, Dr. David Jacobs. After Hopkins’ death, Jacobs was entrusted with Hopkins’ documents and materials. He agreed to provide the tape for this book. The transcript itself reads like a surrealist masterpiece. It’s almost like something concocted from the mind of DAVID LINDSAY while retaining the flavor of an honest southern man who spent his life working with his hands, living in small towns and leading a simple life. 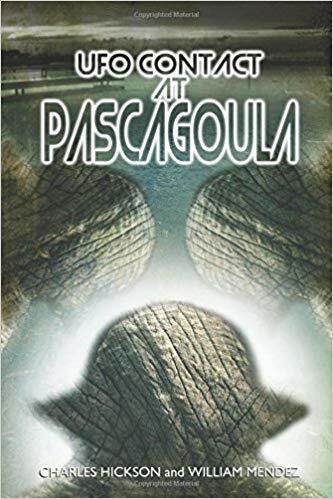 The hypnotic regression suggested that much more occurred either during the original Pascagoula event itself — but more likely through a series of alien visitations upon Calvin Parker from the time he was six years old and throughout his life. Furthermore, the narrative of the transcript includes unsettling, shifting focuses in time, brutal and violent interactions with alien beings and jarring vignettes featuring random bits of imagery that add mystery and drama. I’ll say no more and let readers discover the rest for themselves. 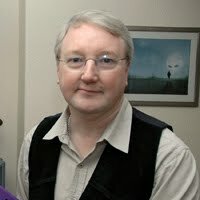 Before I get on with some final business I think it’s important to recognize veteran British UFO researcher PHILIP MANTLE for the role he played in breathing new life into the Pascagoula UFO incident. It was Mr. Mantle who approached Calvin Parker and urged him to write this book. Mantle also published it under his FLYING DISK PRESS stamp. I should not be be underestimated what a major coup this represents to the world of ufology — and Philip Mantle is the guy who pulled it off. Mantle has been one of the U.K. longest and most irrepressible UFO investigators for decades. It required someone with his connections and skills (such as tracking down the Hopkins tape) to provide Parker with the encouragement, morale boost and platform to break open an exemplar of classic ufology. (NOTE: See my review of Philip Mantle’s novel: ONCE UPON A MISSING TIME). Now a bit of pain: It truly grieves me to say that the editing of this book is awful, both in terms of the way certain content choices were made in presenting certain blocks of information as well as in respect to run-of-the-mill typos, punctuation errors and spelling. 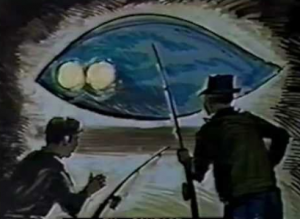 Charles Hickson published his own version of the Pascagoula abduction event in 1978. 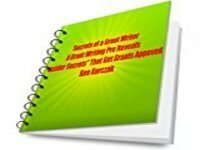 I almost never play “Grammar Police” in my reviews even when it is warranted, but in this case we have a book that could and should take its place as a classic among the shelves of the best UFO literature — but the lack of proper editing mars the overall effort. I was thrilled that the editors did a superb job in retaining the sound and cadence of Calvin Parker’s deep-southern Mississippi drawl — but to then sprinkle it with British spellings for words like humor (humour) and center (centre) jar on the ear like potholes in an otherwise well-paved road. Another major problem: In the Hopkins transcript portion, some lines are often miscued as “BUDD” when “CALVIN” is actually speaking and vice-versa — such a snafu is inexcusable for a document of such importance and relevance. But to end on a positive note, this book includes a lot of excellent photos and illustrations. I was especially delighted to see updated photos of Calvin Parker as he is today. This entry was posted in Uncategorized and tagged Alien Abduction, Calvin Parker, Charles Hickson, flying saucer, hypnotic regression, Mississippi, paranormal, Pascagoula, Philip Mantle, robots, UFO, ufology on August 1, 2018 by admin.